Flavors of sweet cherries and nutty almonds. “AMARETTO” FLAVOR. PAIR IT WITH A DELICIOUS ITALIAN COOKIE…DOESN’T GET ANY BETTER THAN THAT. Best flavor ever. Hope you bring it back soon. 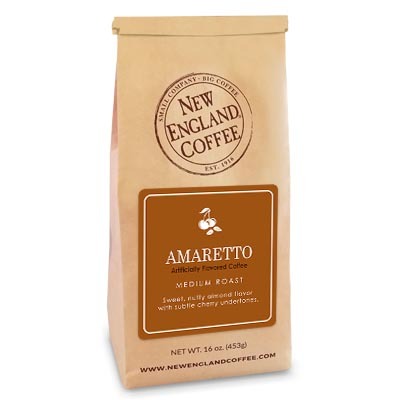 The new Amaretto coffee flavor is amazing! I was lucky enough to purchase one before it sold out a second time. I was planning to buy more but they were snatched up again! I can see why, it is one of your best ever! Please make this a regular flavor choice in the future. This is the best Amaretto Coffee I have ever found. I love the flavor and it has a great taste, I hope you will keep it in stock. I normally buy Cinnamon Hazelnut and love it also. I hope you will stock both the Amaretto and Cinnamon Hazelnut.